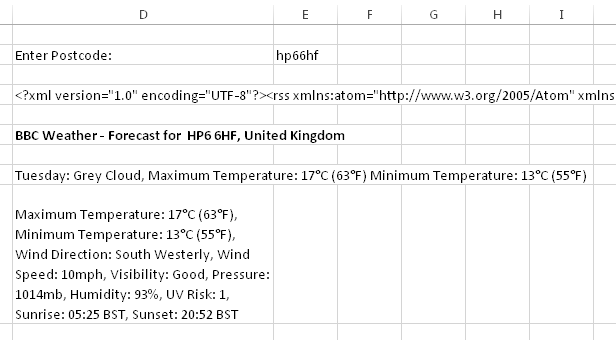 One thing that piqued my interest when looking over the new functions in Excel 2013 were the new functions available that allow you to retrieve data from a web service directly into worksheet: EncodeURL(), Webservice and FilterXML(). Here’s a brief demo of how to use them. 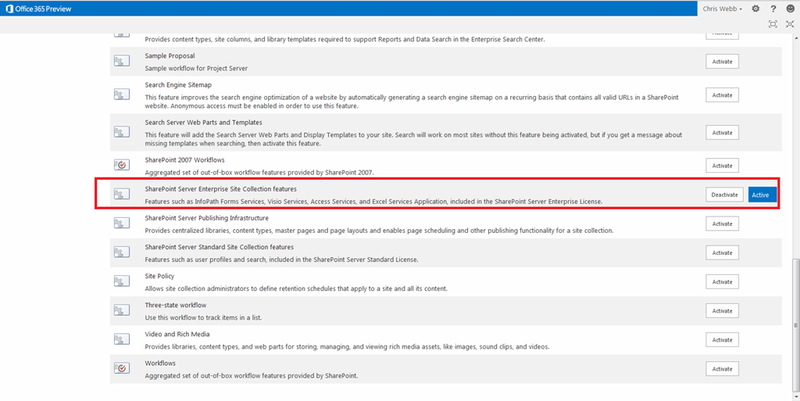 UPDATE: I have had official confirmation from Microsoft that the WebService() function will only work with services that do not require any authentication, which is a shame – I was hoping to use it with things like the Bing Search API and the Microsoft Translator API. Hohum. 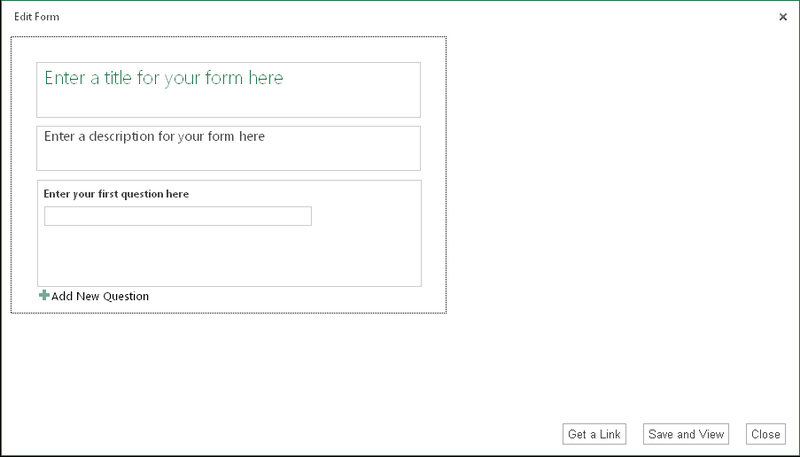 UPDATE #2: Since writing this post, it’s become clear that Microsoft’s Power Query add-in provides much better functionality for working with web services in Excel – it handles most forms of authentication, for a start, and it’s much easier to work with any XML or JSON that a web service returns. 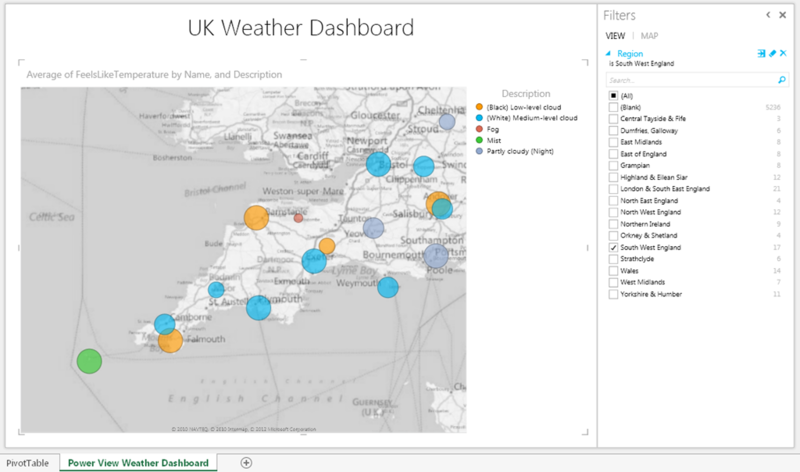 In part 1 of this series I showed how to build a BI dashboard with UK weather data in Excel 2013. 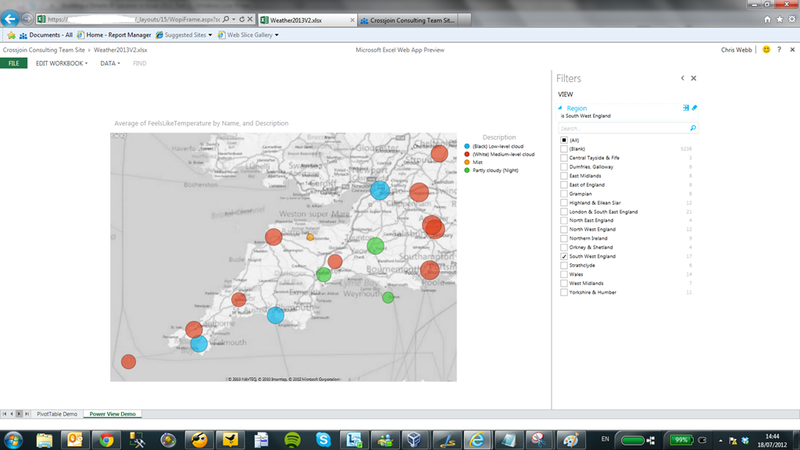 What I’m going to do now is show, very quickly, how this dashboard can be shared with other people via a web browser. 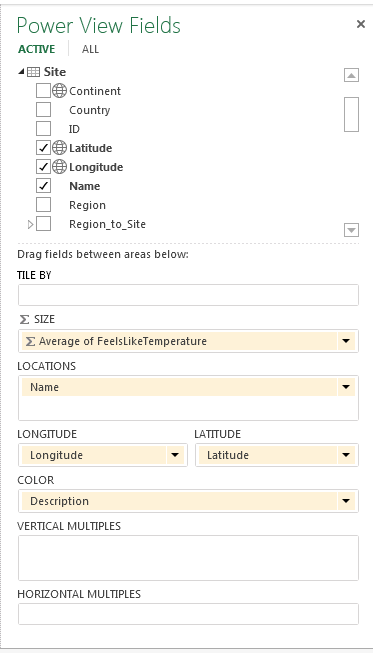 I can not only drill down, but I can even change what’s on rows and columns by dragging and dropping fields in the Field list in the usual way. 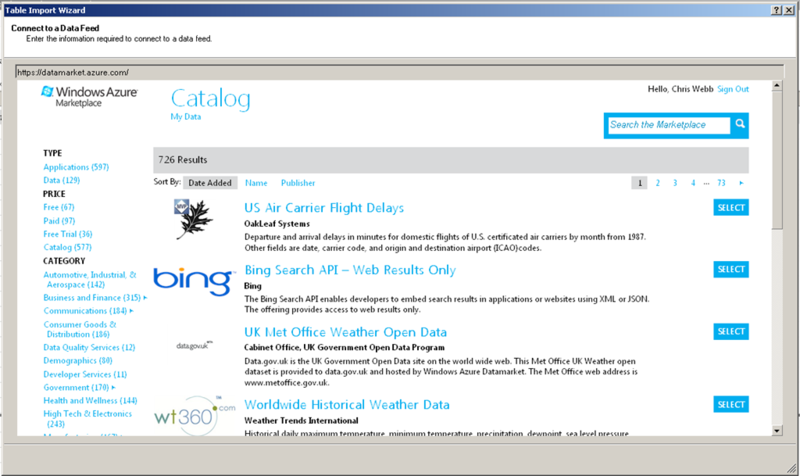 It’s a bit slow and (again) a bit buggy at the moment, but by RTM I can see this being a big selling point: anyone with Office 365 will have in place everything they need not only for BI on the desktop, but for sharing their reports over the web (though data refresh may be a problem here). I’m very impressed, and it’s good to see such a strong answer to the question I asked here last year. 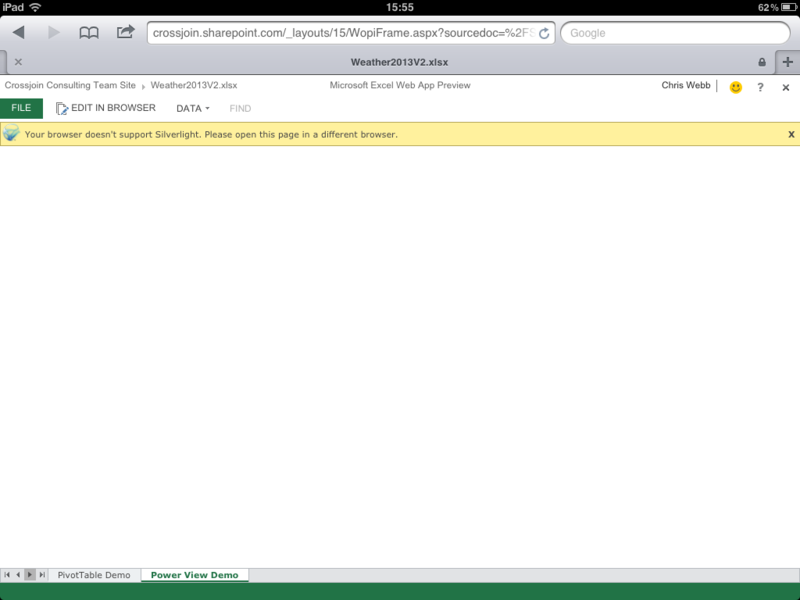 Unfortunately the Power View sheet doesn’t work at all – no Silverlight! Oh well, maybe that was too much to ask for… this is clearly not the Microsoft mobile BI solution that was promised at PASS last year. 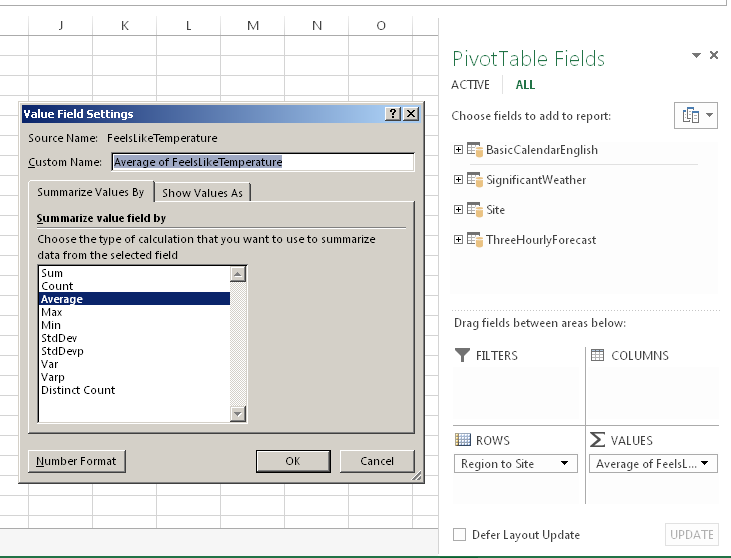 That’s not to say it isn’t useful though – there’s still some good stuff you can do with PivotTables and regular Excel sheets. I’m still very happy with what’s been delivered so far! 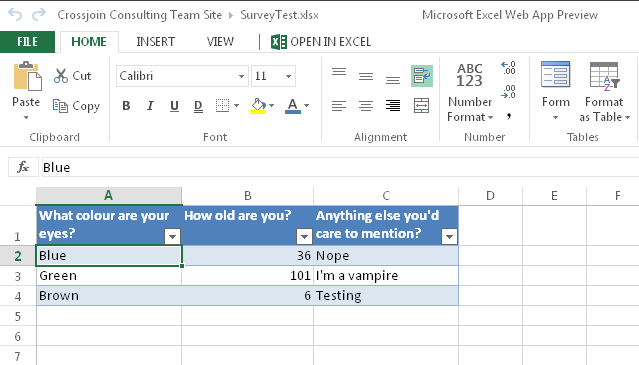 nsurprisingly there’s been a lot of interest in Office 2013 since it was announced yesterday, and I’m certainly very excited by all of the new BI features in it. 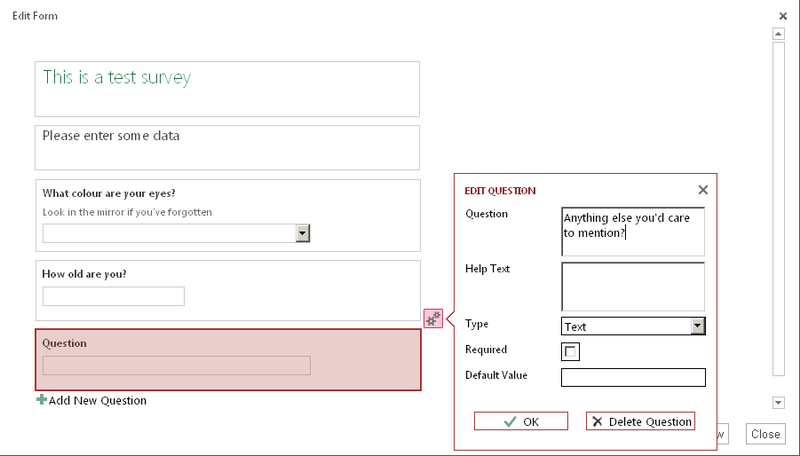 Luckily I wasn’t working today so I had the chance to have a proper play with it, and I thought it would be useful to walk through the process of building a simple BI solution in Excel 2013 to show off some of the new features. 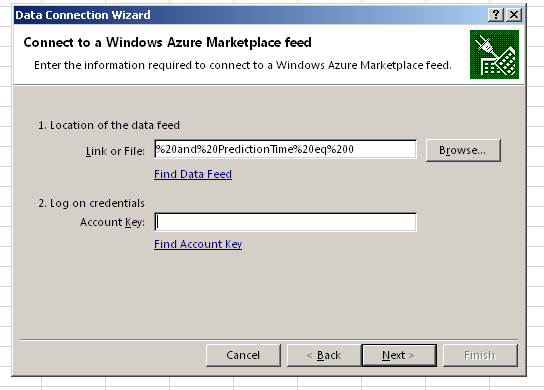 Interestingly, the data is always imported at the end of the wizard even if I check the ‘Only Create Connection’ option on the last step of the wizard. I can also build hierarchies here; Duncan Sutcliffe shows how to do this here, and also how to use hierarchies in Power View which is something new. 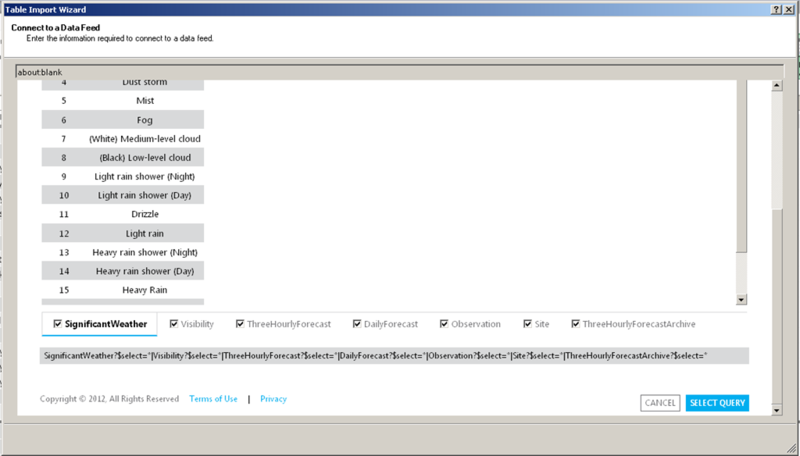 I’ve created a hierarchy going from Region to Weather Station. There’s a new type of Slicer available too for dates called the TimeLine which Raphael has a lot of good detail on here. I’ll be speaking at SQL South West this week so what’s the weather like down there at the moment? From this I can see that today there’s fog in the Scilly Islands (shown by the green marker in the bottom left hand corner) and that it’s very cold and foggy in Liscombe (shown by the small red marker in the middle of the map). 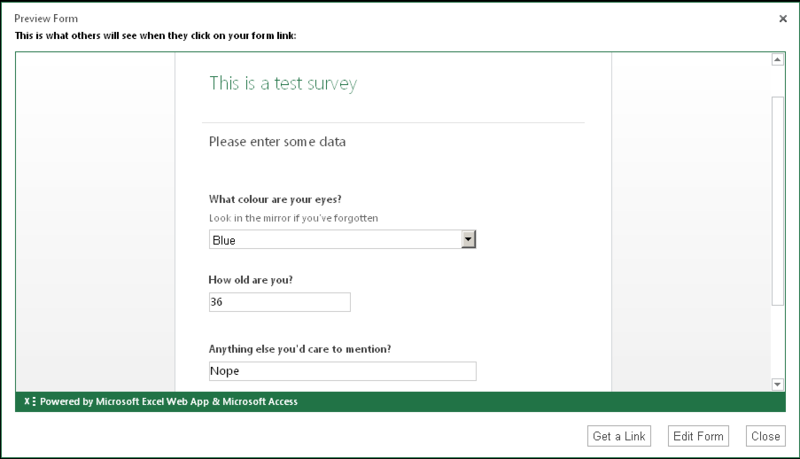 This dashboard was ridiculously easy to create, by the way, and I am already completely in love with Excel 2013 simply because of Power View – it’s a killer feature in my opinion. 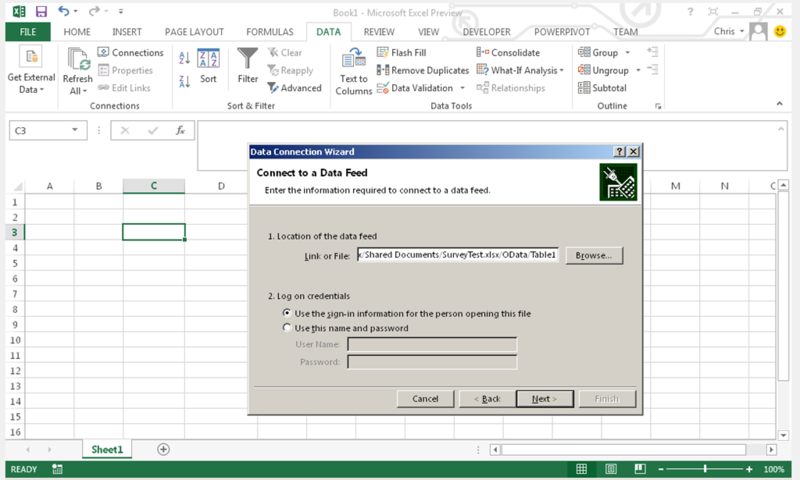 At this point we’ve got a working self-service BI solution, made very quickly in Excel 2013 and it’s something that every competent Excel user would be able to achieve. 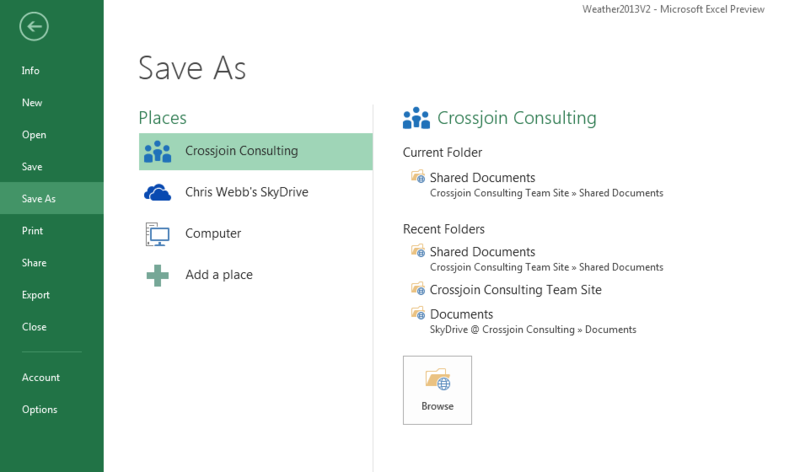 In Part 2, you’ll see how you can share this solution with your co-workers in the Office Web App. 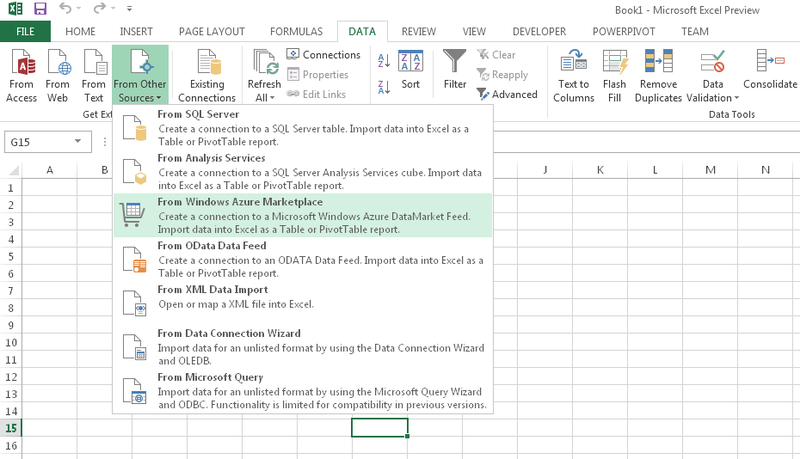 What Are The Big Changes In Excel 2013 For BI? 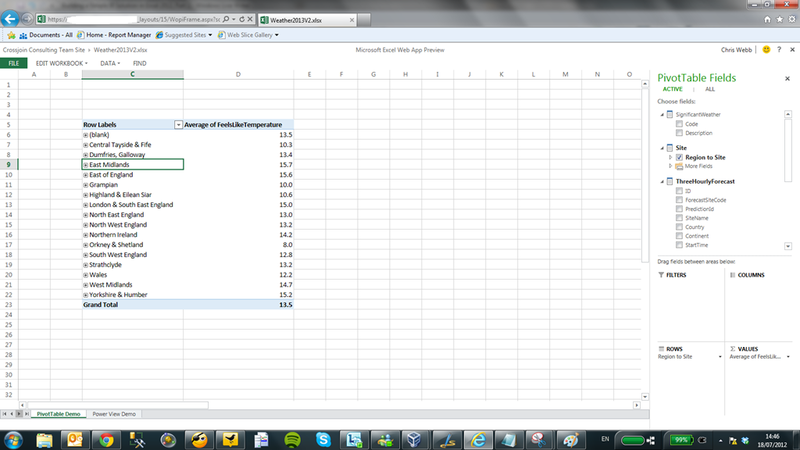 PowerPivot has been integrated into Excel, kind of. 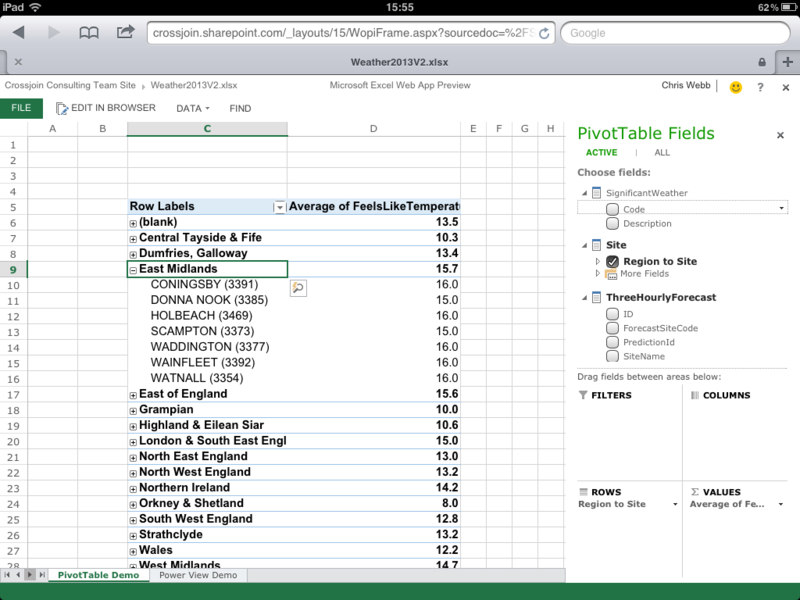 This means that the xVelocity (aka Vertipaq) engine is now native to Excel, and you can do all the basic PowerPivot stuff like loading vast amounts of data from multiple data sources and querying it via PivotTables directly in Excel, without installing any extra addins. 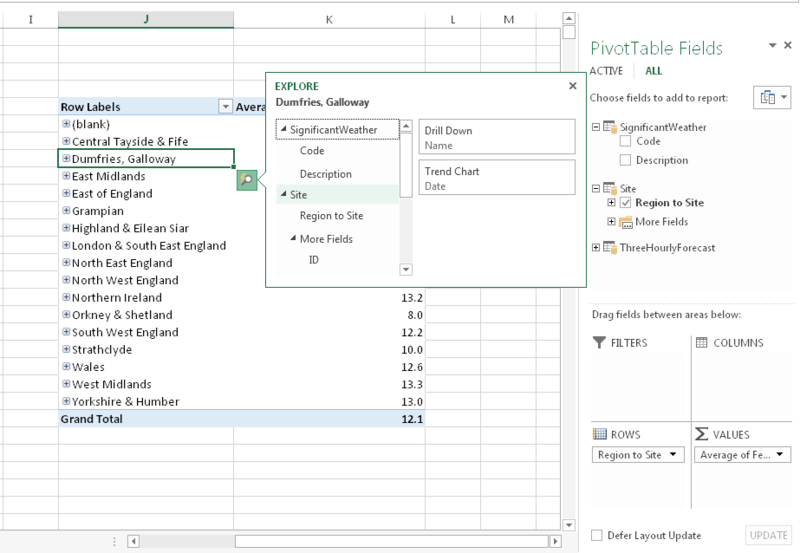 PowerPivot does still exist as an optional extra however: you need it if you want to use the more advanced functionality that exists in PowerPivot today, such as filtering data before import, using diagram view, defining hierarchies and perspectives and so on. 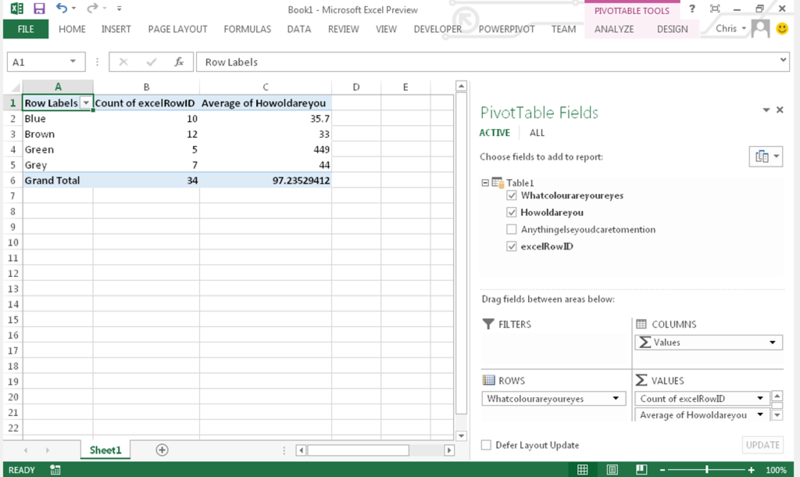 Power View has also been integrated into Excel: Power View reports become a new type of sheet inside a workbook, and you can use it against data held in the integrated xVelocity/PowerPivot engine; I’m not clear yet whether it will work on a SSAS 2012 Tabular model (and at some point a SSAS Multidimensional model, once support for DAX on Multidimensional models arrives) but I hope it does. 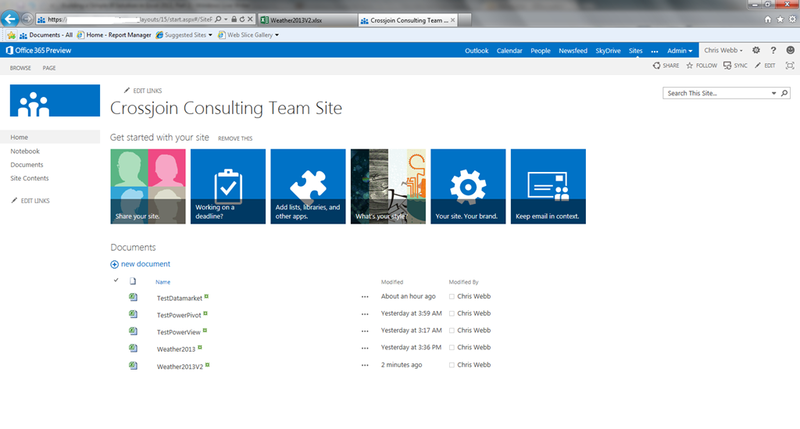 No more need to moan about Power View being tied to Sharepoint! There are a whole bunch of other BI-related changes in Excel which I’ll try to summarise in another post soon (stuff like the suggestions for charts and PivotTables, flash fill, timeline slicer). However I think that the two changes above represent a master-stroke on the part of Microsoft: they make Excel 2013 a serious contender in the self-service BI tool stakes. Certainly, other vendors will be quick to point out the features they have and that Excel doesn’t, and dedicated BI vendors will always be able to add new features faster and more frequently than Excel, but that’s not the point. It won’t happen overnight but at some point every company will upgrade to Office 2013 and when they do, all users will have a BI tool on their desktops which is vastly more capable than Excel today and will be good enough for the majority of BI scenarios – which means that the need to even look at third party tools will disappear. The course is the one written by Marco and Alberto to tie in with their excellent book “PowerPivot for Excel 2010: Give Your Data Meaning”, and is suitable for BI professionals and Excel professionals. It costs £499 + VAT if you book before August 31st, and £549 + VAT after that.